If you are a foodie, then you have come to the right place. 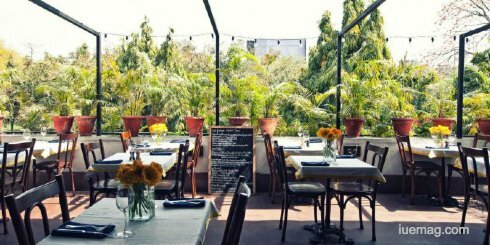 The food scene in Delhi is dynamic and diverse, and there is something to suit every type of palate. We bring you the best places for different types of cuisine. So take your pick from our list of eateries of Delhi, which we deem must-visits. At Chandni Chowk in Old Delhi, this is the place to head to if you like your paranthas in desi style. From vegetable versions stuffed with cauliflower to non-vegetarian ones stuffed with mutton mince, from savoury delights dipped in clarified butter to sweetened ones prepared with ‘mava’ - you will be spoilt for choice. There is even a healthier version of it available these days, prepared with very little oil. If you like your non-vegetarian fare, Karims is an institution by itself. The mutton korma here is the stuff that legends are made of. The kebabs just melt in your mouth. This place should definitely feature on your bucket-list if you are non-vegetarian. For vegetarian South-Indian food seekers, Saravana Bhavan is the place to be. It is haunted by locals and visitors alike. Sample the masala dosa and the rava idlis - they are the best you will find in this part of the country. If you are the luxury lover and only book five star hotels in New Delhi, this place is for you. 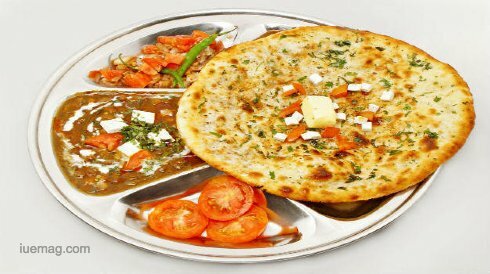 Sample authentic North-West Frontier cuisine, at Bukhara in ITC Maurya. Their cuisine is exclusive and legendary preparted by world renown chefs. Food is prepared in the traditional clay ovens or tandoors. The ‘dal bukhara’ and ‘sikandari raan’ are two of its signature dishes. 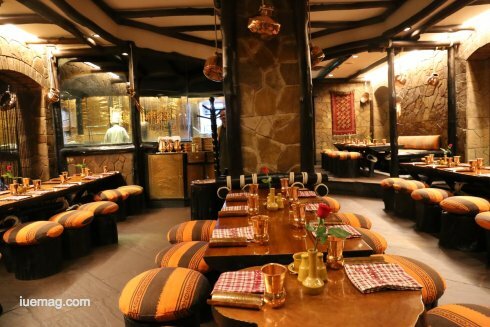 If you wish to try out some Tibetan food, this place is a must-visit. Apart from the regular dishes like the momos and the thukpa, this eatery also serves some authentic specialities. Try out the ‘la ping’. This is a mung bean noodle dish which is best had spicy. You can of course control the spice index on the spot, to suit your palate. To feast on Italian dishes, head to this venue at the Defence Colony. The food is out-of -the world and the ambience is distinctly European. It serves fine French food but is not over-the-top expensive. Tucked away in the Moolchand Flyover Market, this place is lined with trees. There is a live jazz show every Wednesday and Friday. What is a visit to Delhi without trying out the chaats at Prabhu Chaat Bhandar! The ‘alu chaat’ is a favourite amongst the loyal customers of the place. There are other varieties also available - like the panipuri chaat and the rajkachori chaat. It is easy on the pocket but big on taste. This place has earned its place on the map for the unique variety of options available here. From the chocolate paan to the ice-cream paan, the mint paan to the coconut paan - try this place out at least once. This list is by no means exhaustive. It is only indicative of the range and depth of experience that is the Delhi food scene. Visit the city to discover it on your own terms. Any facts, figures or references stated here are made by the author & don't reflect the endorsement of iU at all times unless otherwise drafted by official staff at iU. This article was first published here on 10th October 2017.